You will most likely find a Coin-Operated pool table in a pub and these are the ones you have to pay to play on. They are bigger and heavier tables that have deeper bodies to accommodate the coin mechanism. You can pick between a standard Essex Straight Six Coin Mechanism or an electronic one. The Coin-Operated table comes in three different styles. The Ascot, the Omega and the Outdoor Outback table. The Ascot table is one of our traditional style pool tables. 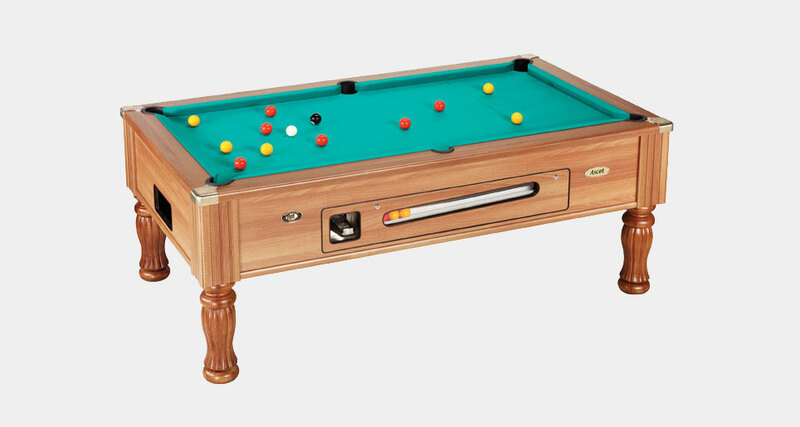 It comes with turned wooden legs which are finished in the same colour as the veneered pooltable body. 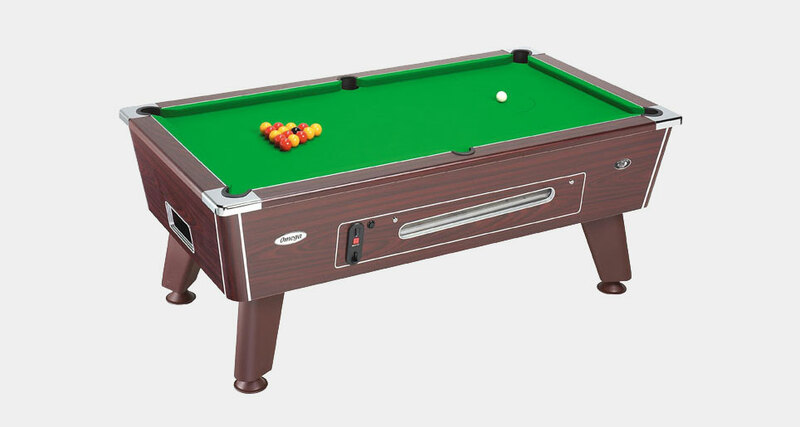 The Omega pool table is one of our most popular tables in this category. The legs are made from a strong and resilient moulded plastic, finished in the same colour or a complementary colour so it matches the table. The Omega is slightly different from our other tables, as it is the only one that comes with an electronic coin mechanism. 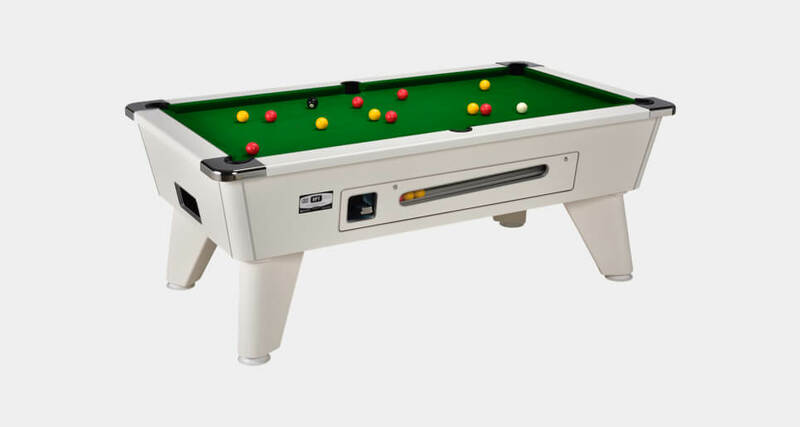 The Outback slate bed pool table comes with all the standard features of the Omega but it is suitable to use outdoors. It is manufactured from birch plywood and has a cover to protect the table while it is stored outside. It is also fitted with a weather resistant cloth for outdoor use. And the legs of the table are made from a strong and resilient moulded plastic, finished in White to match. All of our Coin Operated tables are constructed with 3/4″ Slate bed. They come with a Mechanical “Essex Straight Six” Coin Mechanism fitted as standard. We also offer an electronic Mechanism that can be fitted as an optional extra. There is a variable ‘price per game’ settings that can be applied so you can set the cost to play on either type of the coin mech. If you think you have found the right table the click here to go through to our website and find out more. If none of these tables sound right for you then why not take a look at our other options. Click here to see our blog on What Is The Best DPT Pool Table For You.